In this trench we are hoping to find evidence of a medieval house on the site. On early maps, a building can be seen centrally on the site surrounded by the moat. 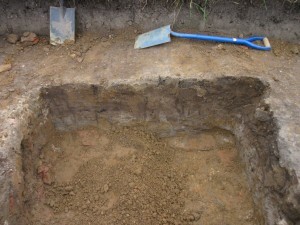 It’s doubtful that we will find foundations, more likely it will be a series of post holes. To see this type of evidence, a larger area of earth removal is needed. At the corner of the trench there was large amount of dumping of brick and tile. 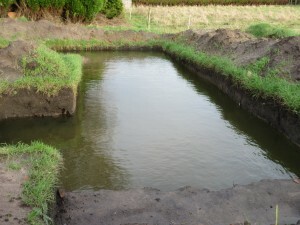 As this was removed, the pit lined with clay, looked like a cesspit. 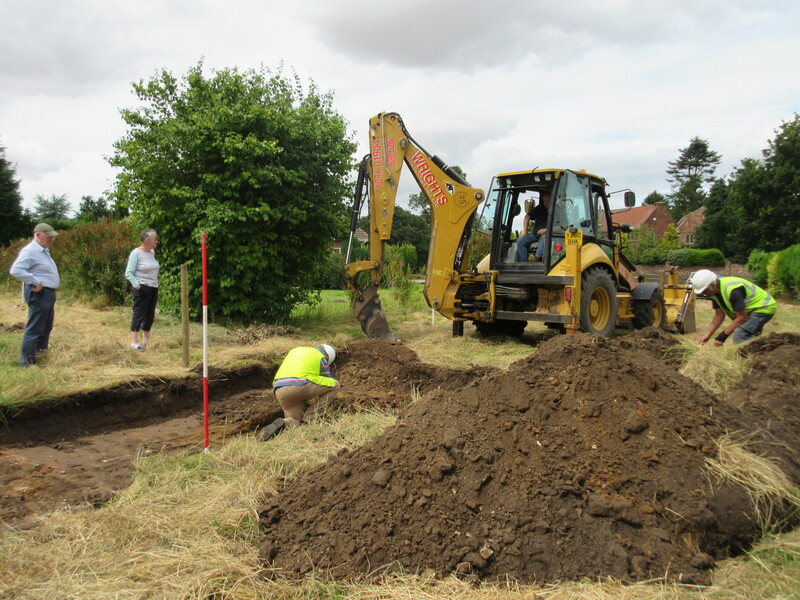 There are slots in the side of the trench, filled with upright roof tiles which could be part of an early building. A large area of burning is evident on the clay surface near these slots. A round post hole was found made of a mixture of shells and mortar. This was on a lower level than the turf. This trench is so full of water it’s almost overflowing onto the grass. Any hope of finishing the digging has now gone.